body with Flat Glass enclosure. Projector is fully adjustable on a short stirrup, locked via central 8mm diameter allen screws. 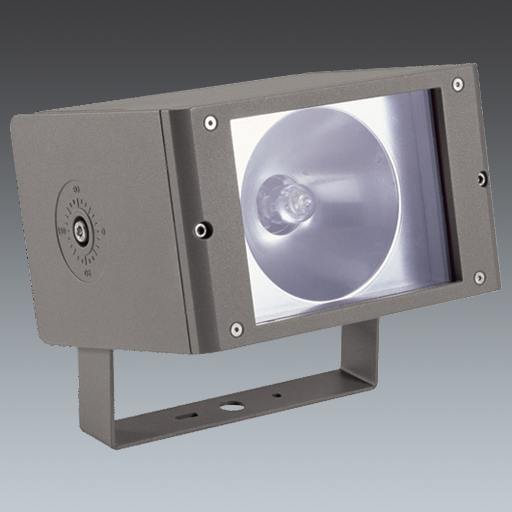 extensive floodlighting distribution with a aluminium - satin anodised reflector. This product is suitable for a 35 W HIT-CE lamp. Available in other colours as special (any RAL number, brick brown or pale sand).